One of the things I remember most about growing up in an Islamic school was the Ashura sermons given at the local Mosque in Foz do Iguaçu, Brazil. Men and women would listen to the story of the Muharram for ten days, every year. I was about ten years old when I went up to listen to the sermons instead of staying downstairs with the other children. My Arabic wasn’t very strong, so a friend translated to English the whole time. That was the first time I cried over Imam Husayn (a.s) and Ahl al-Bayt, the family of the prophet. To this day, the Shia community, along with some Sunnis and Sophists, remember the death of Husayn (a.s) and the lessons of those ten days by mourning the tragic events. The Mourning of Muharram, a ten-day period, begins in the first month of the Islamic Calendar and varies in length depending on the lunar calendar. 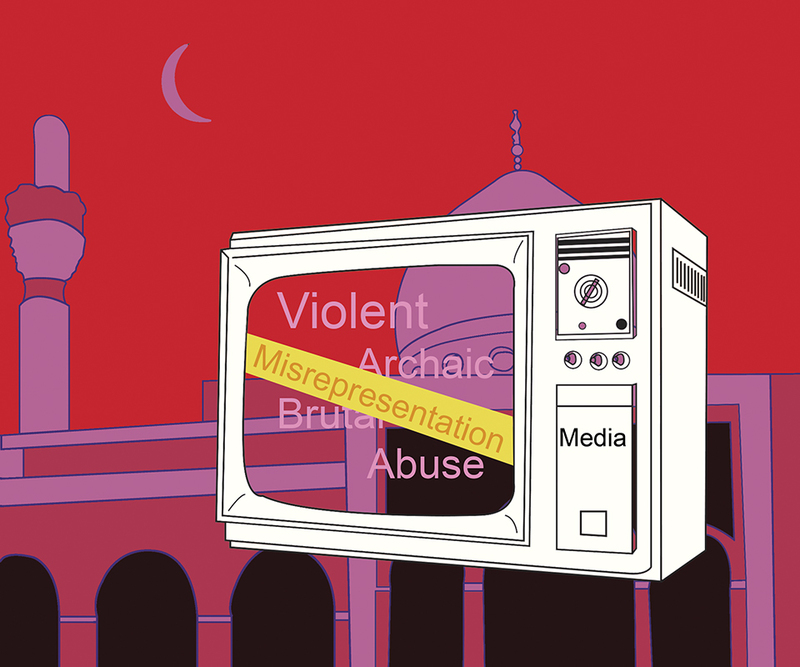 For years, media outlets have horribly portrayed Ashura. What’s mostly shared in news coverage is self-flagellation, which was historically done so people could feel the smallest bit of Husayn’s pain and suffering. The Muslim community doesn’t condone this practice anymore; it is completely prohibited. However, all attempts at getting the meaning behind Ashura across and sharing the full story of Husayn (a.s) and his family have been distorted or called out for biased representation. I am not particularly religious and, in all honesty, it took some time to stop hating those ten days because the violence that was propagated, at times, was difficult to look past. It is not a true and honest representation of Ashura. “[Ashura] makes you read history through eyes of humanity,” said Sheikh Ali Sbeiti, head sheikh in the Centre Communautaire Musulman de Montréal (CCMM). In the year 61 of Al-Hijra of the Lunar Islamic Calendar, AD 680, the Battle of Muharram took place in Karbala, Iraq. This battle was between a small group of supporters and the family of the prophet Muhammad—mainly followers of his grandson, Husayn ibn Ali—and a separated larger military group led by Yazid I, leader of the Umayyad Caliphate. This battle lasted one day, and is called the 10th of Muharram, or Ashura. In the days leading up to this, Husayn (a.s)’s camp was surrounded, and Yazid’s military had blocked their access to the Euphrates, leaving the men, women and children without water for ten days. Husayn (a.s)’s six-month-old son was killed while he held him. The night of the 9th day, Husayn (a.s) told his men they had the choice to leave in the darkness of the night rather than face certain death the next morning, when battle came. None of them left. Husayn Ibn Ali’s companions consisted of 32 horsemen and 40 infantrymen. The battle was over by the afternoon, with Husayn (a.s) left alone between enemies. He was executed in prayer. The Umayyad then took the heads of the dead, and the women and children as prisoners in their walk from Karbala to Damascus. They were held hostage for a year, many dying of the conditions and of grief. Sukayna bint Husayn, Husayn (a.s)’s daughter, was one of the first to die of grief after she saw her father’s severed head. A lot of people wonder why, 1,400 years later, Ahl al-Bayt are still mourned. Sheikh Ali Sbeiti recalled a saying from the prophet: “If you want to thank me, show respect and love for my family.” From a religious perspective, it’s as simple as that: you remember to keep the respect and love for the family of the prophet alive today. My ten-year-old self didn’t know what Sunni, Shia, Christian, Jew, or whatever, meant. All I knew was that there was a family that was hated—oppressed because of different beliefs and views—and the leader of that family had stayed to fight that oppression. That alone should be reason enough for this story to be relevant today. We continue to fight many types of oppression such as ethnic, gender, geographical, and more. This past Muharram, a woman on Twitter complained about a picture that depicted a child dressed in black wearing a headband that said ‘Husayn’. “Child abuse,” she tweeted. “For the sake of proving a sectarian point. Of course there will be extremism if from this age you throw at them extreme sectarianism.” As long as the story of Husayn (a.s) and his family is told in a considerate and calm way, there is nothing abusive about teaching children this story. The CCMM, for example, shares this story without the gruesome details. Husayn (a.s)’s brother, Abbas Ibn Ali, went into enemy territory to bring back water to the camp because Husayn (a.s)’s daughter was thirsty. He did not drink any water in solidarity with his family, despite being parched. Those details are what should be taught to children: sacrifice, compassion and selflessness. Chams Jaber, head organizer of the CCMM, said the centre focuses on activities that are engaging and educational to share the lessons of Husayn (a.s). “We learn about patience, and having no fear against oppression,” said Jaber. They hold activities such as the recreation of the battle as an art piece, where all the kids add to it while being told the story, she explained. There are traits that historical figures pass along, and sometimes they happen to be timeless. Husayn’s teachings are relevant today, and Ashura is meant to honour that. There really isn’t much else people need to take from this. Writer’s note: the (a.s) after Husayn (a.s) means ‘peace be upon him’ and is a gesture of respect.